Ashmore Law Firm Sponsors The Lakewood Service League | The Ashmore Law Firm, P.C. 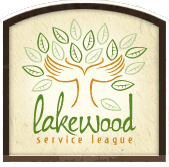 The Ashmore Law Firm is proud to support the Lakewood Service League. This non-profit, volunteer organization was founded in 1982. The league’s main focus is to improve the Lakewood/East Dallas community. The members of this league volunteer throughout the community and also raise money to assist other non-profit organizations. Their projects include care for the young and old, educational enrichment, employment counseling, cultural and recreational programs and helping those in need by providing food, clothing and shelter. The Ashmore Law Firm is delighted to be a sponsor and support this amazing community organization. We thank members for all their hard work in order to make our community a better place!